How to Make Money on Black Friday? –By Taking Advantage of an Online Business Opportunity. If there’s ever such thing as the perfect time to start making money online, there has never been a better time than Black Friday. People all over the World wait for this moment as you can get the best deals in the World for things you would never thought possible from huge washing machines to something intangible like services or even a software (Not sure if that’s tangible or not). With that huge market in demand, you know that people are selling stuff like hot cakes so why not take advantage of this once in a year event and make loads of cash at the same time? What is Black Friday about? Mostly popular in the US, Black Friday is the BEST time to start shopping as you’ll find prices being reduced to ridiculously low rates as some even go as down as 90%! After thanksgiving, millions of US shoppers descend on stores across the country on the Friday after the holiday, hoping to save on their Christmas shopping. If you’ve been eyeing on an expensive product that costs thousands, now is the chance to find that price reduced to an amount you never thought possible. If you’ve been wanting to join a training program but not having the cash, now is the time to start taking advantage of that opportunity! But the story of Black Friday wasn’t actually popular in other countries though. It was only known to Americans but slowly but surely, many other countries are trying to follow, especially Canada. Many Canadian retailers started realizing of Black Friday’s importance after noticing how empty their shops are as many Canadians travel all the way south for better shopping deals. That shows how big of a demand Black Friday sales are! Did you know that retailers make 20-40% of their annual revenue on Black Friday? Today, more people are realizing that the market base on Black Friday is SO huge that sales go even crazier online. 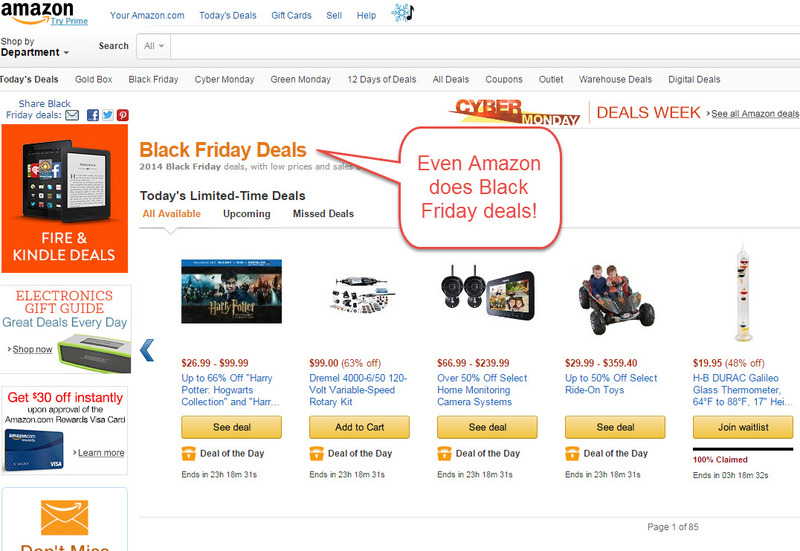 A clear example of a successful website that makes millions on Black Friday alone is Amazon.com. If you’re wondering as to why you should start an online business instead of a retail shop, there are thousands of other retail shops out there who are promoting their products through their websites as well. 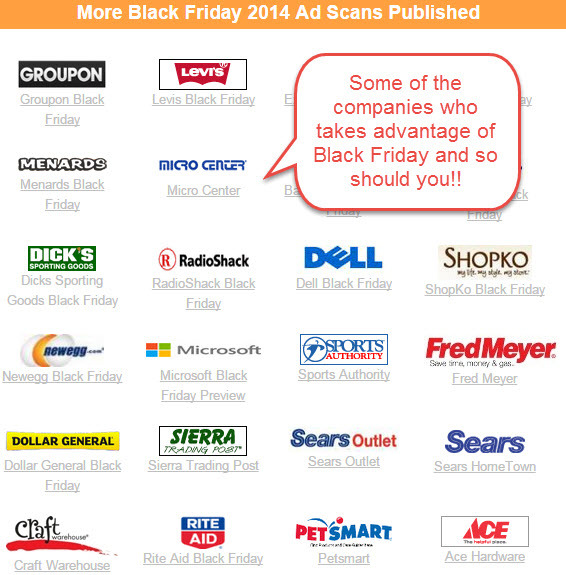 Loads of retails stores are advertising their Black Friday deals on their websites too! Of course you can opt for that traditional method of building a retail store but why go through all of that trouble and cost when you can make your own website in less than 30 seconds? 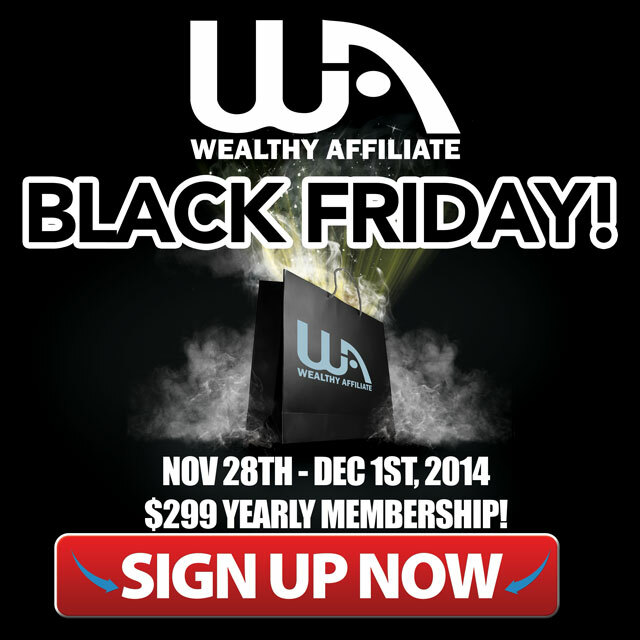 Start your online business, take advantage of Wealthy Affiliate Black Friday! There is a program that I would strongly recommend every beginner interested in building a website to join and that is called Wealthy Affiliate. 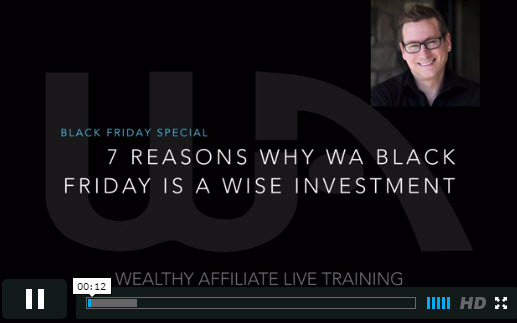 Being the leader in online business opportunities, Wealthy Affiliate is the top internet marketing program in the entire World Wide Web, as well as the ONLY one of its kind that actually has a Black Friday deal. When I first started building this website, I had no direction whatsoever so I have to come across scam after scams until I found Wealthy Affiliate and after that, I have been a member there ever since. Unlike other online business education programs out there, Wealthy Affiliate is the only program that gives you a run for your money as it has a cool website hosting service for unlimited number of website, they have an online classrooms that keeps updating its lessons and of course when you have a classroom you have a community of like-minded individuals! After making your website, you want to know how you can go further. Everyone can create a website but sometimes you just have no idea on where to go after that am I right? Like what website should it be? Or how should you monetize it afterwards? “There’s that word again.” My teacher used to repeat this all the time. Niches are like the main focus of what your website is about. You can choose to make your website the making money niche, the dating niche, or even on health. My advice, is to make your website on something that you really like such as fishing or cooking so that everything else comes smoothly to you. Finally, the missing link on how money can flow into your site. After you get visitors to your site, you NEED to find a way to make those visitors into buyers so how do you do that? By offering them something relating to your niche of course! For example, if your website is about cooking, you can offer cooking utensils from Amazon.com so that your customers can buy that in order to cook your recipe that you promote. They would surely follow your advice because since it’s your website, you are the expert. Creating your own products take time and would usually take months, especially with the fame that you need to build upon on your image to make people trust you. Because of that, the fastest way to monetize your website is by selling other people’s products which is something we internet marketers know as… Affiliate Marketing. How this works is that you literally sell other people’s products and in return, you get a percentage of the commission as simple as that! You won’t even have to find and ask people, just go to either Amazon.com or Clickbank, find a product or two that you like to promote on your site and you’re ready to start making some money! 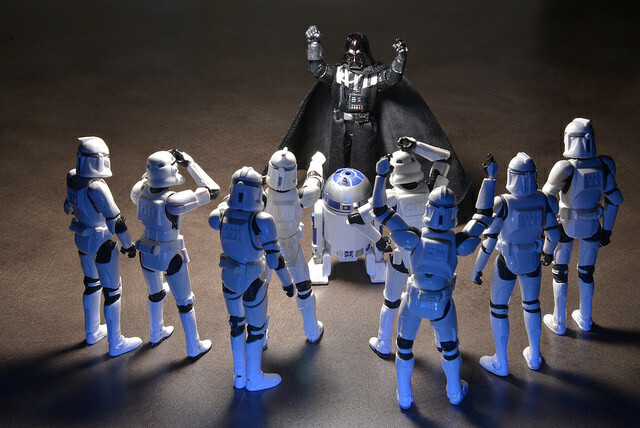 Lead people to your site! The fastest way to get people to notice your site is to promote it offline. You can opt for traditional marketing methods such as word-of-mouth, brochures at school, or even newspaper. But you can’t do that all the time as it takes energy and time so you want to also focus on the back end side which is the online part. What I like most about SEO is that your website will be visible on the first page of Google forever so that means customers will be coming to your site non-stop even when you sleep and that is when you truly make money online while you sleep! Making money online is fun. All you need to do is start a website, choose a niche of your liking, promote your products of choice and simply drive traffic to it and before you know it, you’re already making money while you sleep! If you’re interested in building your own online business, check out my #1 recommended program here. Do let me know any questions you may have, I’ll be more than happy to reply!